I recently came back from Lavallette, NJ, a wonderful, relaxing, family-oriented beach town next to Seaside Heights (Jersey Shore). It was my first vacation with my beautiful little girl, Sophia who will be 10 months next week. Since this was my first trip to the beach with my baby it also meant more things to bring to the beach, which is where my new b.b. begonia bags came in handy. I first came across these bags from an event I attended in NYC. 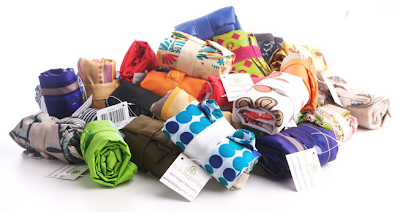 Not only are the bags reusable and eco-friendly but they come in cool prints and colors. I used my b.b. begonia bag as a makeshift diaper bag to go to and from the beach instead of having to take my cumbersome diaper bag. It worked well because these bags are really light and the straps are great because they are nice and long and feel comfortable on the shoulder. The bags are also waterproof, which is perfect for going to the beach and/or pool. If you're in the market for a reusable bag I definitely recommend buying one from b.b. begonia. The bags retail for $9 each and can be found at http://www.bbbegonia.com. If you're a big Anna Sui fan like I am, I know you have been dying to catch a sneak peak at her collection for Target, which hits stores September 13th. Next week YAY!!! Ranging in price from $19.99-$149.99, the line includes a variety of soon-to-be-obsessed with seasonal staples including sweaters, blouses, dresses, cropped pants and mini skirts. Even though the prices are much lower than her regular line, Anna stays true to form by combining her glamourous, whimsical, rock-star chic design elements that she is known for. Take a look at some of the designs below and make sure to mark your calendar for September 13th !! Target is taking recycling to new, fashionable heights this fall. Starting Labor Day weekend through October 31, Target will be featuring commissioned art from emerging artists like Michael Anderson and Josh Goldstein on its Times Square billboards, When the art exhibit ends, the billboards’ vinyl will then be transformed into 1,600 limited-edition, upcycled bags, using a tote bag designed by fashion maven Anna Sui, merging her love of art and fashion. The tote bags offer consumers the opportunity to own a piece of one of the world’s most famous neighborhoods, Times Square. Each bag is made of 90% recycled flex bulletin vinyl, and features rock-and-roll details like black enamel studs. The tote bags, destined to be the eco-friendly “it” bag of the season, will be available for purchase for $29.99 at Target.com/billboardbag on September 4 while supplies last. 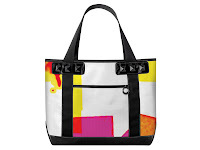 Purchasers will be able to select which artist’s work they prefer to have recycled into their tote bag. The bags will be shipped to buyers in early January. If you're still looking for a cool pair of gladiator sandals check these out from Steve Madden. Supermodel Heidi Klum was spotted recently wearing them out for a stroll in Beverly Hills. It's nice to see a celeb being smart and wearing sensible shoes while pregnant!! Quiksilver celebrates Fashion's Night Out Sept. 10th!! This is a shopping event not to be missed! 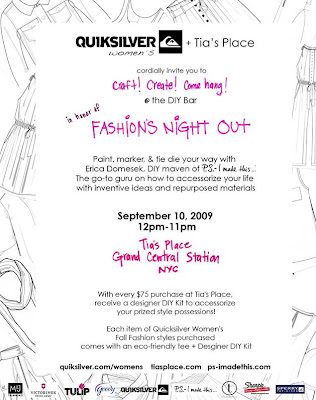 Quiksilver Women’s invites you for DIY in celebration of Fashion’s Night Out. On Thursday, September 10th, spend the day with Erica Domesek, Do-It-Yourself maven of PS I Made This, the go-to site on how to accessorize your life with recycled materials and inventive ideas. Join Quiksilver Women’s at their “DIY Bar” at the newly opened Tia’s Place in Grand Central Station where you can paint, marker and creatively repurpose your own clothing or accessories to the hottest Fall trends. The event is September 10th from 12pm-11pm at Tia's Place, Grand Central station. 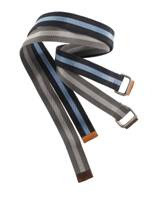 Starting September 2- 7, all-American brand Martin + Osa is offering a free woman’s silk scarf or men’s woven belt with the purchase of any denim. With their guaranteed, best-fit selection of jeans, never has there been a better time to stock up on your favorite staple to carry you through season to season! M+O is the one-stop-shop for all denim needs. The giveaway will be available at all Martin + Osa store locations. Please visit www.martinandosa.com for locations.